As the second largest economic entity in the world, China is still a relatively unexplored market for many foreign brands. Given the differentiation between Western and Chinese social media ecosystems, many may ask how to approach target audience efficiently within shortest time in China? The answer is 99% likely to be – work with Chinese influencers. According to 2017 Digital Commerce Trends Report , 72% of brands interviewed in China indicated that they would continue to focus on social media marketing, while 63% revealed they would enhance their collaboration with influencers in terms of product or brand promotion because they believe in the ROI (Return on Investment) of influencer marketing. Although KOLs’ real influence has always been doubted due to suspicions on their KPI, it cannot dim their popularity among various brands. In this article, we will discuss the conspicuous phenomenon that Chinese bloggers sell so well on social media like no KOL abroad can from two perspectives: Chinese users and the commercialization of Chinese influencer marketing. One fundamental cause of Chinese bloggers’ successes is the prevalent usage of mobile devices among Chinese population. There is no age barrier for mobile penetration in China, enabling brands to maximize the potential e-commerce market value. Brands can reach everyone from 8 to 80 years old as potential followers and buyers, even though the young generation still remains to be the main purchasing power. One-stop apps such as WeChat, which provide services including online payment, ticket booking and takeaway ordering etc, encourage users to adopt the habit of shopping online, accelerating the expansion of Chinese e-commerce market. It is not an exaggeration to claim that almost all Chinese use WeChat and Weibo, especially the former app. Staying active on these tremendous social media platforms therefore allows Chinese bloggers to easily gather a great deal of fans and followers. The power from word of mouth is another reason for blogger success from the cultural perspective. Chinese customers have very deep trust in KOLs and this psychological bond can partially be explained by the pseudo-intimacy created by social media. In another word, social media make you feel like influencers are friends as you know who they are in real life, thanks to the details of their daily lives shared through Weibo, WeChat and live streaming apps. These days, customers are highly alert to any sense of advertising, but speaking as “friends” and fellow customers, influencers’ recommendation based on their experience, also recognized as soft advertisement, seems much more sincere and purposeless. Besides, Chinese bloggers have accumulated credibility and authority by their expertise as a large proportion of influencers are once or current professionals from various walks of life before joining this new business. Chinese followers usually believe that bloggers’ recommendations are trustworthy because they assume that KOL has put his or her reputation in line with that product. It somehow makes Chinese customers feel at ease and are willing to at least give the product a try. Brands in the Chinese market have noticed the business value of influencers and offered further collaboration, which in turn increase influencer’s media exposure and add up to KOLs’ social awareness as well as their authority. This is the most typical case to demonstrate the win-win cooperation between travel bloggers and luxury brands. Motivated by the desire of being unique and showing off from time to time, young Chinese would buy products of big name, especially those co-branding or personalized products. 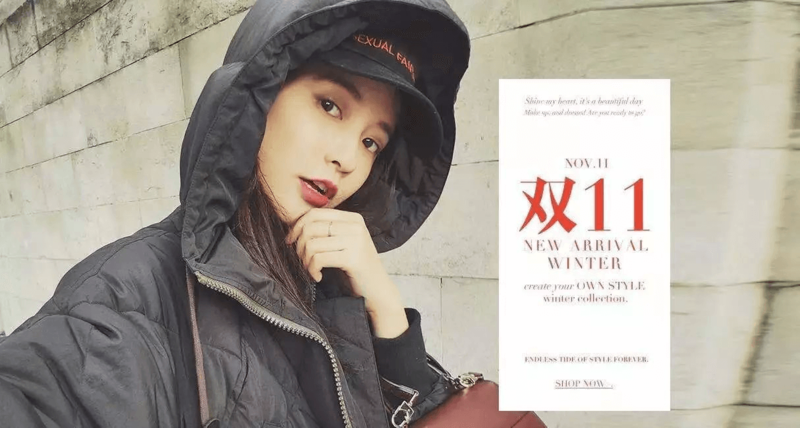 A travel influencer, who may also be known as a former model or part-time fashion editor, can provide the youths with sharp fashion tips and brand integrated experience through live streaming, encouraging purchase decision. Meanwhile, being projected as possessing latest and limited collections adds up to influencer’s original image and power, increasing followers’ loyalty. Apart from follower’s perspective, the commercialization of KOL business also contributes to developing and maintaining Chinese KOL’s popularity. In the past, Chinese influencers faced two major long term obstacles: profit mode and sustainability. 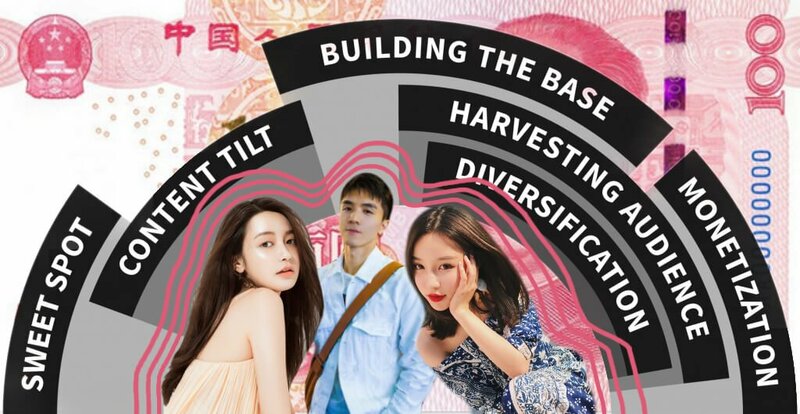 As the core of Chinese influencer marketing, Multi-Channel Network (MCN) Model gives birth to an innovative form of development called Influencer Matrix. Unlike several years ago when KOLs usually worked individually or collaborated with other influencers if necessary, established influencers nowadays dedicate themselves to cultivating new influencers in segmented market. Through interaction among these uprising accounts, a self-sustainable social media ecosystem (Media Matrix) is created, broadening the scope of followers and adding up space for commercial advertising. For example, Papi Jiang, one of the most heated KOL famous for her humorous and highly-qualified criticism on social issues with her sarcastic Shanghai accent, built her own matrix called Papitube in 2016, with second tier KOLs such as Zhang Mao(张猫) and Zai Xia Yangshuhui(在下杨舒慧). Papi Jiang promoted these KOLs in her online show and after the followers of KOLs reach certain amount, it could share the risk by the logic that as long as one of the accounts in matrix is popular, other accounts will also obtain enough attention through interaction to sustain their business value. MCN Model also increases the quality of content on social media as professionals are hired to help influencers produce tailored articles, which facilitates KOL’s trust earning process. Last but not least, the industrial chain for Chinese influencer to profit is maturing gradually. The two major business modes include functioning as sales channels and establishing their own brands. The former mode is the most common practice within this industry right now and there are multiple ways of penetrating into target customers. A simple approach is to do live streaming show and recommend intent products. This way, the influencer profits through both the direct cash-in rewarding system provided by live streaming platform and the advertising fee from the brand. 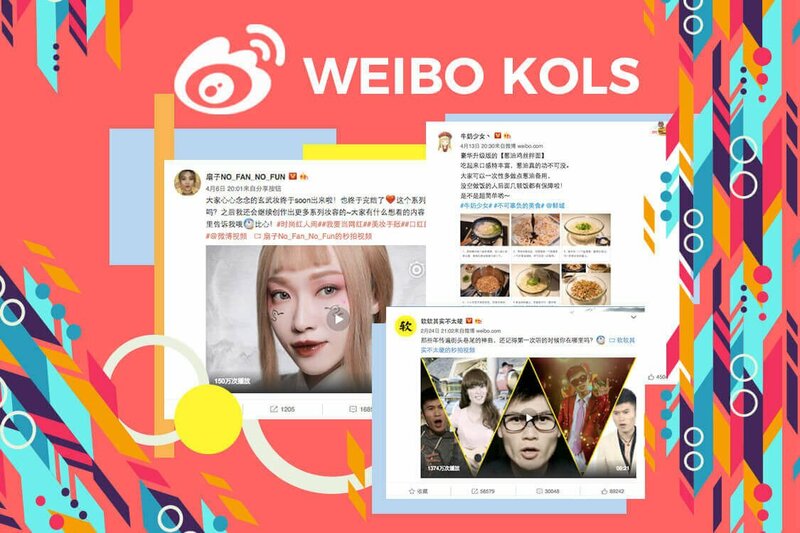 KOLs also take money from brands by uploading soft content articles or images, and lead followers to the e-commerce site to finish the purchase process by distributing links on Weibo. There is a new way of cooperation rising these years. Many powerful and affluent bloggers establish their own e-commerce website and sign sales contract with traditional retailers. As for the latter way of profiting, KOLs build up their own fashion brand and transfer into Tmall shoppers. However, this does not mean that they are turning into competitors of other fashion brands. On the contrary, these influencers collaborate with retailers in a deeper way as they sometimes release co-branding collections, bringing in big noise within Chinese fashion industry and boosting sales successfully. Chinese influencers are earning millions, which can be invested in MCN Model, including matrix expansion, content marketing expertise employment and social communication to attract more followers. SEE ALSO : EXCLUSIVE interview with Ashley Galina: how to target Chinese consumers All in all, the extraordinary success of Chinese influencers can be attributed to the high mobile usage rate among Chinese people, the MCN model and the growing KOL industrial chain. Meanwhile, it is worth noting that short-video platforms such as Meipai and e-commerce site like Alibaba are planning to cultivate their own influencers, which means the battlefield of Chinese influencer marketing has reached out to comprehensive platforms. As for the future, it is predicable that China retail market will be further segmented and everybody can be micro influencers and function as the fundamental unit of advertising within his or her own social circle instead of KOLs with million fans. The key to future Chinese influencer marketing would no longer be how to select the right powerful influencer, but how to motivate micro influencers to advertise for the brand with lower budget in “New Retail” era. The case of Meituan, a third-party takeaway app, is a profound example for its brilliant idea that the user can share red pocket to one’s friend after ordering any food on this app and the user will be rewarded by red pocket as well for the sharing behavior, which apparently serves as a natural endorsement from friend. 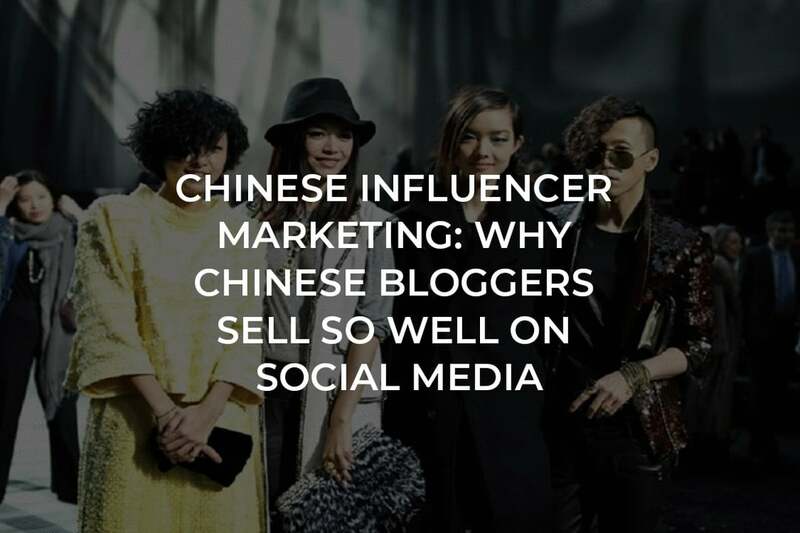 Disclaimer This article <Chinese Influencer Marketing: Why Chinese bloggers sell so well on social media> was originally published on Retail in Asia, written by Ashley Galina Dudarenok.